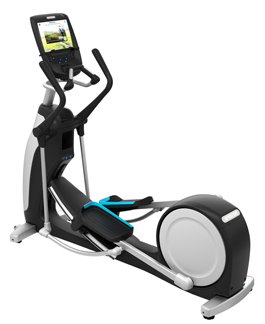 The Adaptive Motion Trainer® (AMT®) with Open Stride™ creates a unique, personalized workout unlike any other. 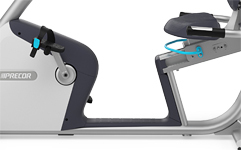 Open Stride™ lets you not only change the length of your stride but also the height, providing an infinite variety of motion paths. 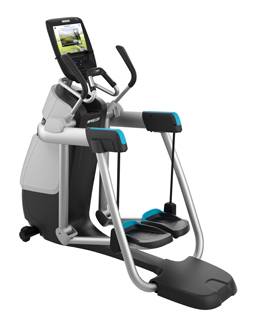 Go vertical and it’s a stepper. Increase resistance and it’s a climber. 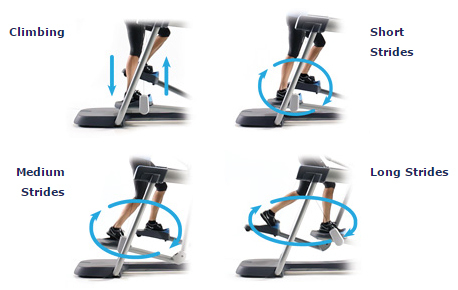 Then go more horizontal and walk, jog or sprint with a stride length of up to 36 inches. 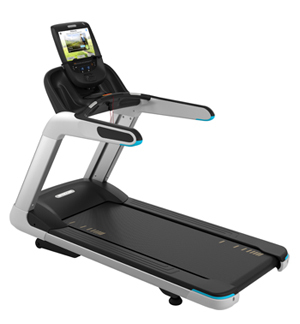 The new contemporary and sleek EFX with adjustable Crossramp® offers ramp inclines from 10 to 35 degrees for workout variety and the unique converging stride path allows the exerciser's footpath to converge naturally just like walking or running. 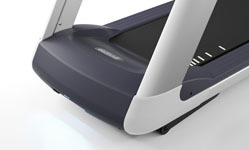 With the Active Status Light™ and enclosed rear housing, the EFX is easy to clean, maintain, and service. 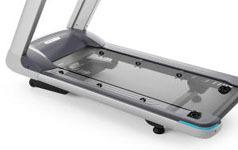 With a contemporary and thoughtful design, the console dash, which delivers less vibration, has a secure, stable place for everything, the frame delivers a quieter running surface, and at 9.5 inches, the low deck height helps exercisers feel stable and less on display. 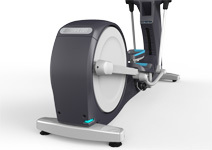 IFT, a patented motor drive system, complements a natural running stride, reducing joint stress and fatigue, while GFX provides an improved progressive shock absorption system that absorbs high impact movements and supports a solid and controlled push off.The motor drive system uses Power Factor Correction for increased energy efficiency and improved cooling extends component life. 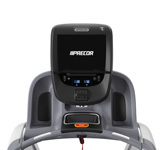 An Active Status Light™ alerts staff at glance to the treadmill's operating condition. 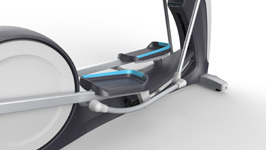 Recumbent and upright bikes appeal to exercisers of all ages. 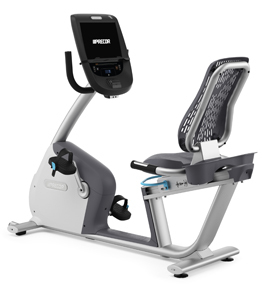 Featuring a convenient step-through design on the recumbent, redesigned saddle on the upright, ventilated airflex seat, and simple, one-handed seat adjustments, both bikes offer a smooth, comfortable workout experience.